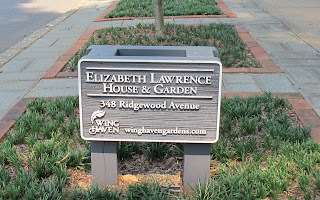 I could say that my journey to Elizabeth Lawrence's garden began on Friday morning, June 29, when I backed the car out of my driveway and headed with a friend to the Outer Banks of North Carolina, via Charlotte, North Carolina. 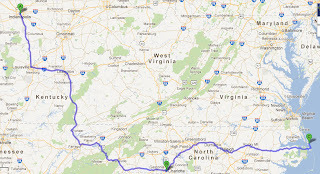 Or maybe the journey began on January 2nd when we made reservations to stay for a week on the Outer Banks of North Carolina? 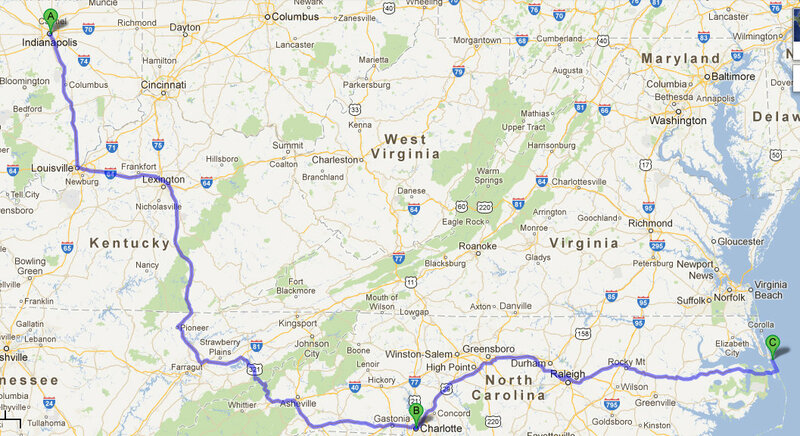 I did have to convince my travel companion that Charlotte, North Carolina was "right on the way" to the coast. 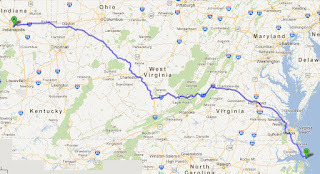 Google Maps gave me this route to the Outer Banks which takes about 14 hours. 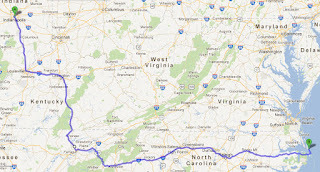 But I've been that route before and didn't really like it, plus it goes nowhere near Charlotte, NC. 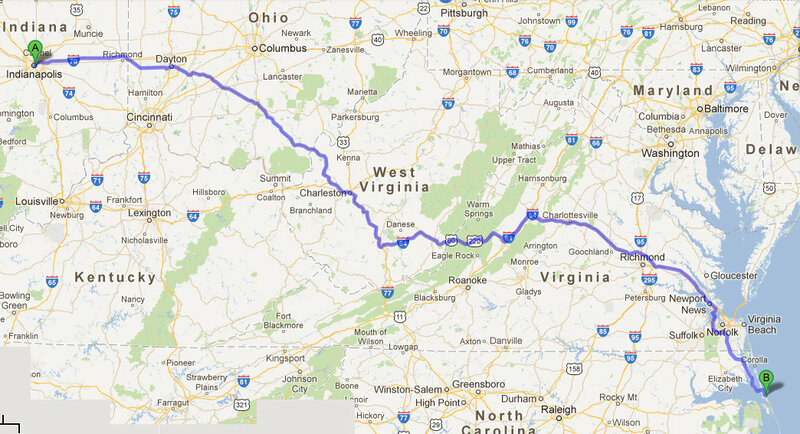 So I forced this preferred route. You can't really see it, but Charlotte is right down there at the bottom of the map, sort of in the center. 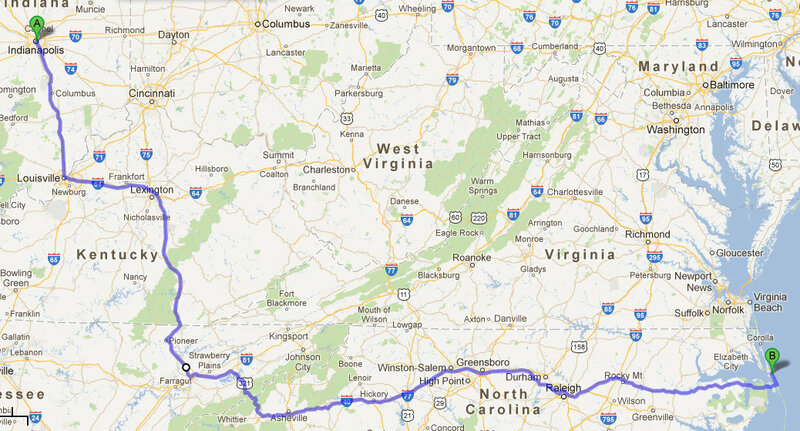 That's not too far off this preferred route, so I added a side trip to Charlotte. It only added "about an hour" of drive time. Since we were taking my car, that extra hour would be no trouble at at all. But that's not really the beginning of the journey. For the beginning of my journey to the gardens of Elizabeth Lawrence, I could go back to January 19, 1988, when I purchased her book, The Little Bulbs. I know the date because I tucked the receipt in the book and it's still there. Later, in 1989, I made my first visit to the Outer Banks and stopped at Manteo Booksellers where I purchased Lawrence's Gardens in Winter. At least I think that's the book I bought there. I'm going from memory and a process of elimination to figure out which book I actually bought because I didn't keep the receipt. But I know I purchased one of her books there. Over the years, my admiration for Elizabeth Lawrence and her writing and gardening grew as I found out more about her and read her books. I somehow have managed to purchase all the books written by or about Elizabeth Lawrence, including the compilations of her newspaper columns, her biography and two collections of letters. I've quoted her often on my blog and credit her quote "We can have flowers nearly every month of the year" for inspiring Garden Bloggers' Bloom Day. I didn't know nearly 24 years ago that purchasing one book would start such a journey. That's how it is sometimes. It makes me wonder anytime I find a new garden writer, like Cynthia Westcott, or Ida Dandridge Bennnett or Alice T. A. Quackenbush what journey they might take me on, what people I might meet even today through them. It was something to ponder a week ago last Friday, as I was finally heading to Charlotte to see Elizabeth Lawrence's garden. Of course you had to go! You obviously are a kindred spirit and needed to be in her garden, at least for a while. You are inspiring me to seek out some of her books. A dream come true for you, Carol, to visit this garden. We look forward to hearing more about it. Maybe I need The Garden in Winter, too. You are such a tease. I want to see the garden, I want to see the garden, I want to see the....Oh all in due time, I know. 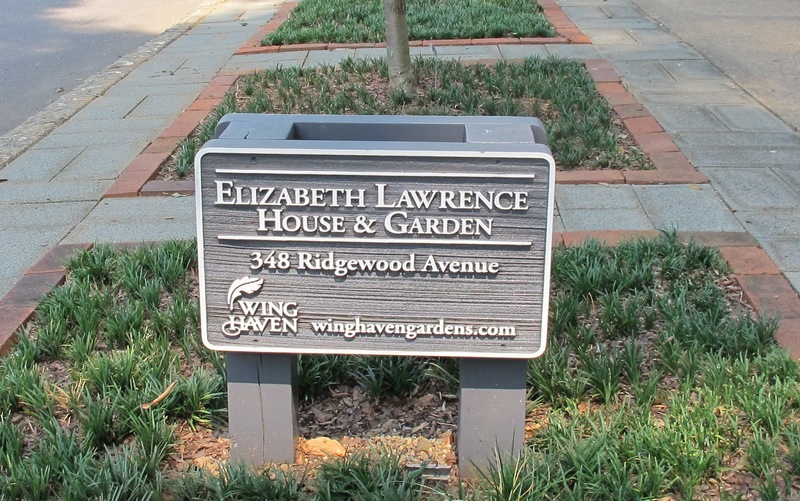 I have only enjoyed Elizabeth Lawrence's garden through her books - wonderful visits, though virtual. So close. I guess you were on a mission. William Lanier Hunt is my hero. You go girl. Take on every journey while you can. You are such an inspiration. I can't wait for your next stop. I'll relive my own journey through you. Wow! Elizabeth garden and house is really attractive. Thanks for Google map because it help to find this beautiful place. I really appreciated your post.